The following is from Hansard, concerning a question from Michael O’Halloran, MP for Islington North, put to the then Undersecretary for the Environment Michael Heseltine, in the House of Commons on 9th July 1971. I am glad of the opportunity of discussing the Archway Road Bridge, N.19. I have submitted some photographs to the Minister which will explain the difficulties. The bridge was built in 1897 and under it flows the traffic of the A1 trunk road. Since it was built, it has been known locally as “Suicide Bridge”. Practically every year there are one or two suicides and several attempted suicides. Not a week goes by when I do not receive complaints from people living in the vicinity about someone having been seen climbing on the railings of the bridge. When this happens the police are informed and the fire brigade is called to rescue the unfortunate person who feels that there is nothing left in life to live for. The approach to the bridge is such that the smallest child can climb on to it. I appreciate that if an individual wants to commit suicide there is not much that we can do about it. After all, if he does not jump off Archway Bridge or even Westminster Bridge he can go home and gas himself. 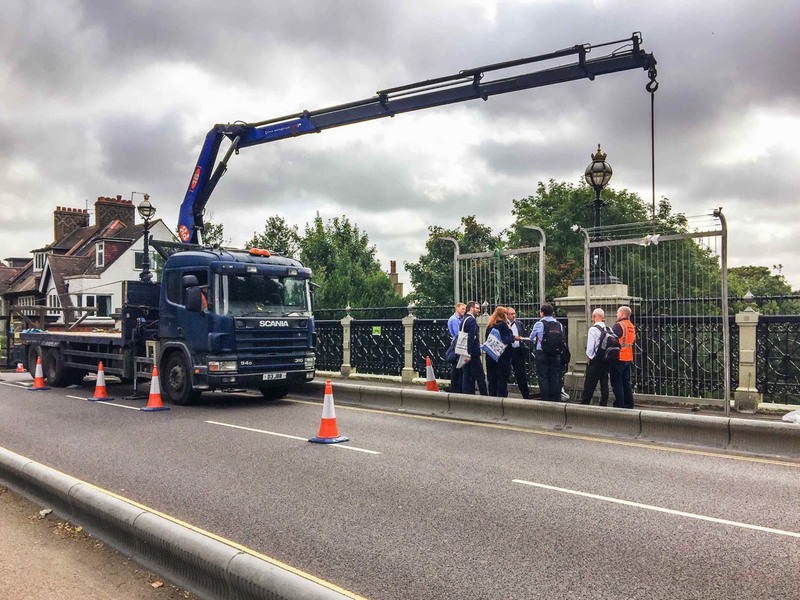 The main problem with the Archway Bridge is that a person attempting suicide can involve the lives of others. From the railings at the top of the bridge to the main trunk road below is a drop of about 80 feet. In the most recent suicide from the bridge a man who jumped narrowly missed falling in front of a bus. It will be seen how the lives of many other people could be involved. The driver of a vehicle passing beneath the bridge in such an eventuality would have to swerve or make an emergency stop, and this could result in a serious accident. The local weekly newspaper, the Islington Gazette, has over the years spoken out forthrightly about this great hazard. A major question principle is involved because we are left with no option. Either we do something about it or we go back to what has been said all along—that nothing can be done. In the past three months I have asked a number of Parliamentary Questions about the bridge. I now ask the Minister to do something about it and at least to have a second look at the railings and approach to the bridge. I understand that it would not cost even £5,000 to provide a side wall or additional railings to prevent people from climbing up on it. Many people have suggested the provision of a net to stop would-be suicides from falling in front of traffic below. This is the question: are we to wait until a very serious accident occurs, with heavy loss of life, or are we to take steps now to prevent such an event? I hope that I have said enough in this short debate to make the Minister appreciate the points I have been putting, both today and in Parliamentary Questions, and that he will have another look at this serious problem. I wish at the outset to thank the hon. Member for Islington, North (Mr. O’Halloran) for his courtesy in giving me notice of his views on this matter—though I was aware of them from the Parliamentary Questions which he has asked—and for supplying me with photographs. These photographs highlight the problem. Although I have not seen the bridge, it is obvious from the pictures that it is a very attractive example of a certain type of construction. The hon. Gentleman was right in pointing out that a bridge at this point was first built in 1812. 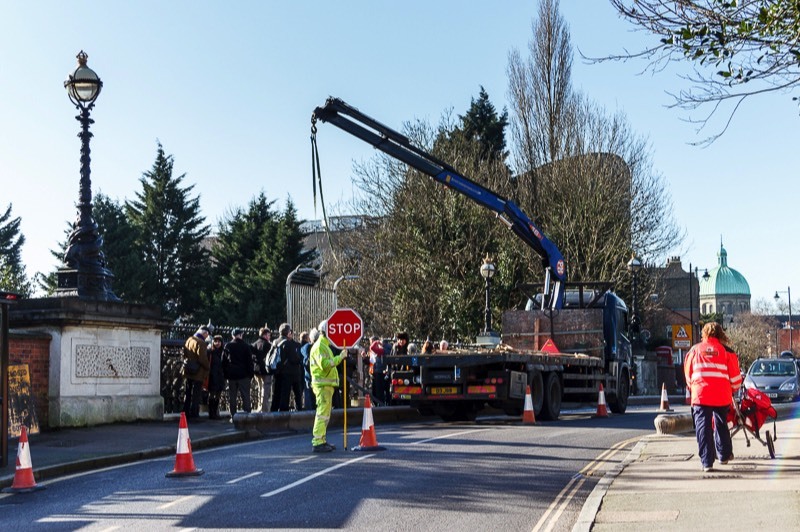 It was replaced in 1897 by the existing bridge, which has a span of 120 feet and marks the boundary between the section of the A1 for which the Greater London Council is responsible and the trunk road section for which my Department is responsible. The bridge itself is vested in the G.L.C. The problems that arise from time to time as a result of people attempting to commit suicide or being successful in doing so from this bridge are of great concern to us all. There have been three suicide fatalities in recent years: a man in February, 1969; a girl in October, 1970; and another man in February this year. In addition, in May this year and then on 7th June there were two more attempted suicides, one a mental case and the other a drug addict. Both were rescued by the police from the bridge and taken to hospital. Attempts have been made to try to deter people from using the bridge in this way. Some considerable time ago rotating iron spikes were fitted on top of the 5 foot high iron parapet fence, and the height of the parapet with the spikes is a formidable obstacle, as is clear from the photographs. Steel mesh panels have been fitted adjoining the centre and end pillars of the bridge where climbing is easier, again in order to discourage attempts. It is difficult to devise a wholly effective safeguard which would not detract from the appearance of the bridge, which is of considerable architectural merit. If one were to build a high wall or an unclimbable fence to replace the existing railing, either solution would be considered aesthetically unacceptable. This is a tragic problem and one that is not restricted to the bridge over this particular roadway. The difficulty is that if people are determined to commit suicide there are an endless variety of ways in which they can do so and a very large number of bridges which they can use—not only road bridges but railway bridges, bridges over the Thames, and others. The danger, therefore, is that if we were to highlight our concern about Archway Bridge in some way it is possible that it would have the reverse effect to that which we seek to achieve. By focussing attention on this bridge as one that has been used in this way, it is possible that we would even attract more people to use it in this regrettable manner than have used it in the past. As I say, if people have made up their minds to behave in this way, there is nothing we can do to stop them, because there are so many alternative methods open to them. Nevertheless, I do not want to suggest that our concern is less than that of the hon. Member, particularly because of the danger—albeit, I hope, a small one, and one that has not so far led to any actual danger—of people jumping from the bridge, landing in the roadway below and possibly causing an accident, perhaps injuring people in no way otherwise involved. I say at once that although the difficulties are well known, and that is why we have not been able to make further progress, we will discuss the matter with the G.L.C. to see whether anything can be done within the limits I have mentioned to minimise the problem. I very much wish that there were no such dangers but, as I have said, there will always be a proportion of people who are, regrettably, determined to commit suicide and it is impossible to anticipate every means they may use for their purpose. 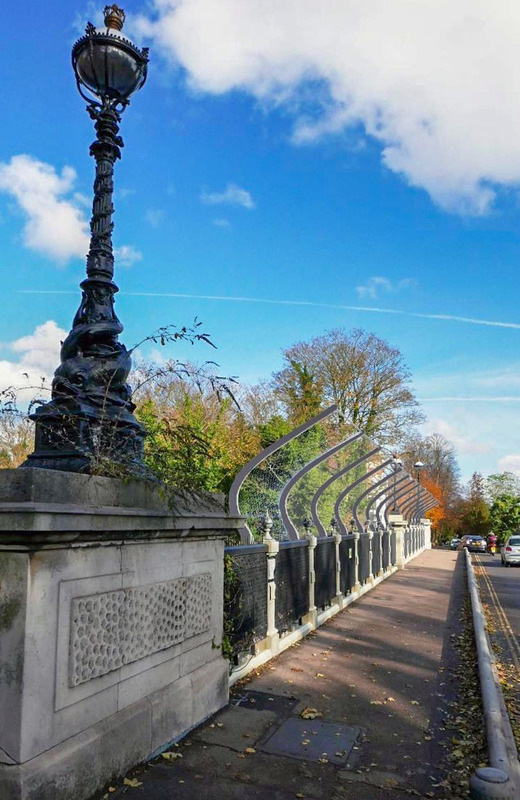 Proposal: Erection of stainless steel anti-suicide fencing along the bridge in front of the existing fence and in front of the bridge parapets, and removal of the previously installed wire mesh along the bridge fence and spikes on the end and central plinths (Following approved HGY/2018/1463 in September 2018). The letter is dated 3rd March 2019, but we received it on 14th February. Any comments or objections must be in by 20th March. You can download the letter here. A new application (P2018/4231/LBC) was registered on February 11th, 2019 (comments until10/03/19) by David Richmond & Partners on behalf of the Highgate Society. It features an alternative mesh design, a mock-up of which you can see in the picture (click to enlarge). Full details are in their report. The application is for Listed Buildings consent rather than planning approval. There is also an interesting historical background to the bridge, which you can see here. A meeting has been arranged with Emma Williamson (Head of Planning) & Dana Rasheed (Project Manager) in order for them to explain the current state of play of the planning permissions, the development of the design, and the need for an extension of the currently permitted fencing to protect the brick walls on both sides of the two ends of the bridge. The meeting will be at 4pm on Wednesday 5th September 2018 at River Park House (room to be notified). River Park House is on the corner opposite Wood Green tube station. Councillor Bob Hare adds “Constantine Koritsas has sent an alternative and less visually-intrusive proposal to EW and DR. Anyone who has observed the progress of the development of the present measures over the last twenty or more years may have doubts about the willingness of TfL and Haringey (as the lead authority) to start a further design and testing process. However, in principle, if workable, this proposal could be used everywhere or at least in front of the brick walls”. Download a PDF of the alternative design here. The application (P2018/1482/LBC) was registered on 9/5/18, comments until 7/6/18. Yet another test panel has been produced and was tested in situ on the morning of Thursday 4th January 2018. 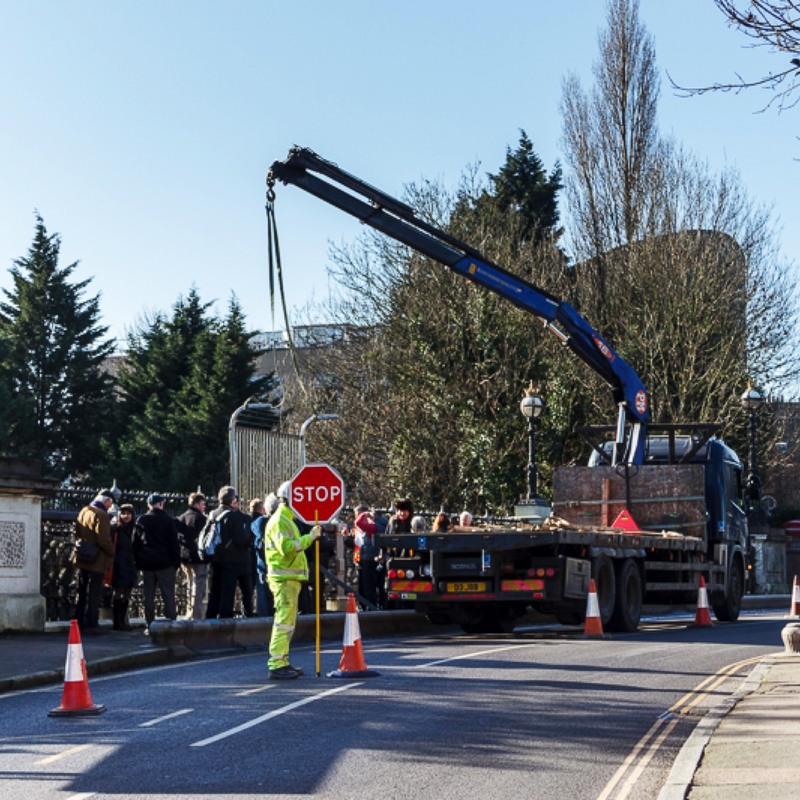 Once again, councillors and local and community groups were not notified.The proposed fence will have a major effect on the appearance of the bridge, and there will be an application to discharge the listed building consent by the planning committees of both Haringey and Islington. Pictures will be posted if we can find any, please let us know if you have any! More info on our Bridge page. It turned out that it was possible for a person to climb through the previous test panel, so yet another test panel has been produced. We believe it is being tested in situ on the morning of Tuesday 21st November. Provided that it is not possible to climb through it, it will be signed off for manufacture and installation. 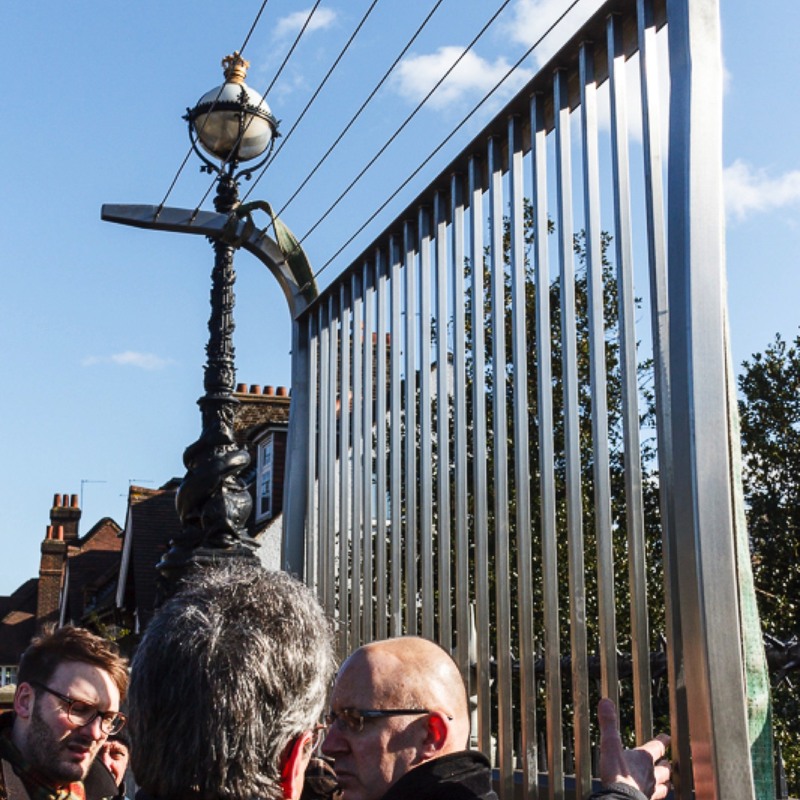 The latest design of the anti-suicide fence for Hornsey Lane Bridge was showcased on 7th September 2017. No further details yet as Islington Councillors and local groups were not informed of the event. Thanks to local resident Angela Tsen for alerting us and sending the pictures. Pictured from right to left – Catherine West MP, Cllr David Posyer, Dr Janice Gibbons (NHS), Cllr Andy Hull, Andrew Robins (Consultant – Whittington Hospital), Revd. Peter Vannozzi (St Augustine of Canterbury, Highgate), Carol Hansen-Vessa (local resident), Bisi Williams (local resident), Jan Whelan (local resident), Cllr Kaya Comer-Schwartz, Steve Clarke (Vicar, St Andrew’s, Whitehall Park), Cllr Paul Convery, Cllr Marian Spall, Jan Tucker (Archway Town Centre Business Group), and Juliet Penrice (Consultant – Whittington Hospital). 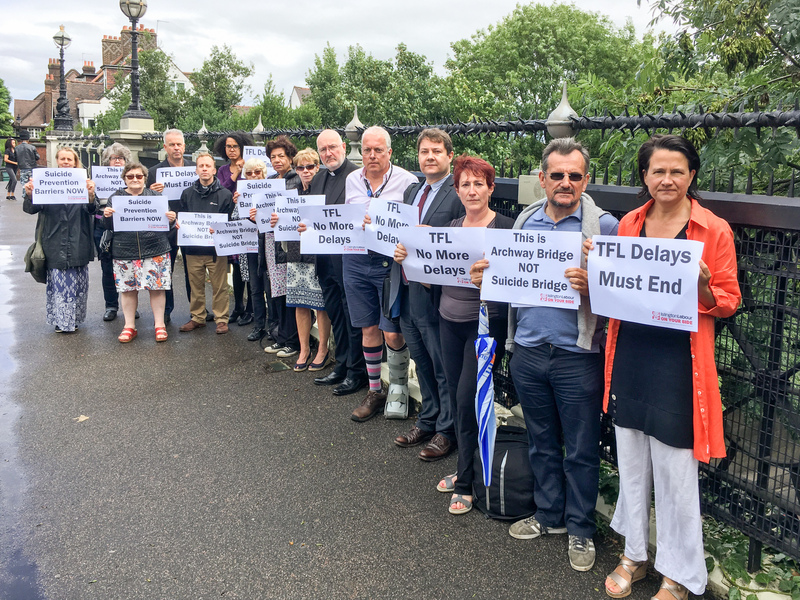 Labour councillors, local vicars, local residents, staff from the Whittington Hospital and Catherine West MP, have joined together to demand an end to Transport for London’s (TfL) delays in installing suicide prevention barriers on Archway Bridge. 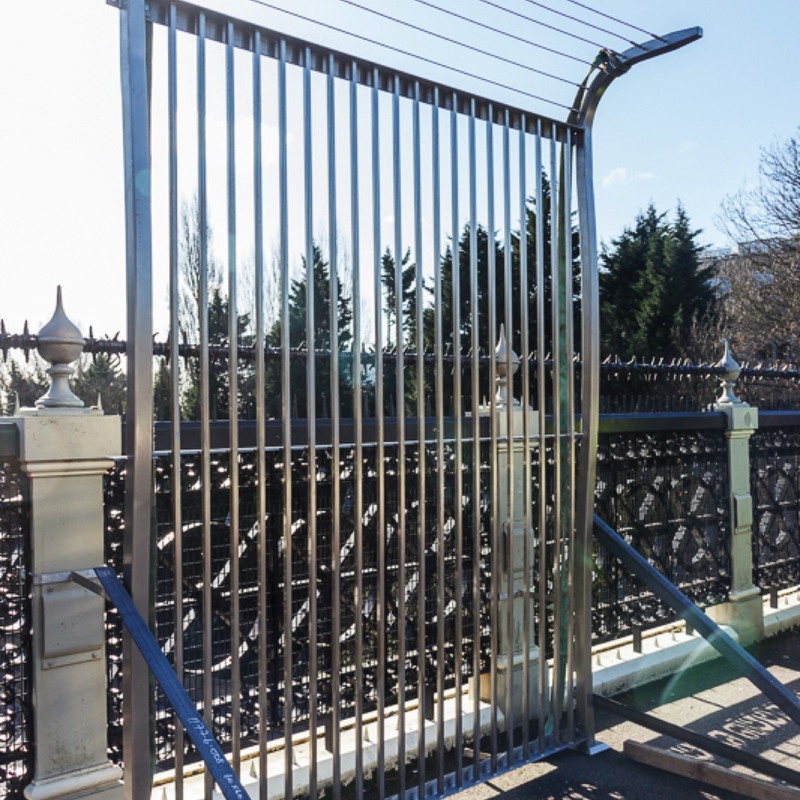 Planning permission was granted in October 2015 by both Islington and Haringey Councils for the installation of suicide prevention barriers along Archway Bridge, which has been the scene of multiple suicides and attempted suicides. Delays have meant that TfL has failed to produce a compliant sample panel of the prevention barriers 21 months after permission was granted. 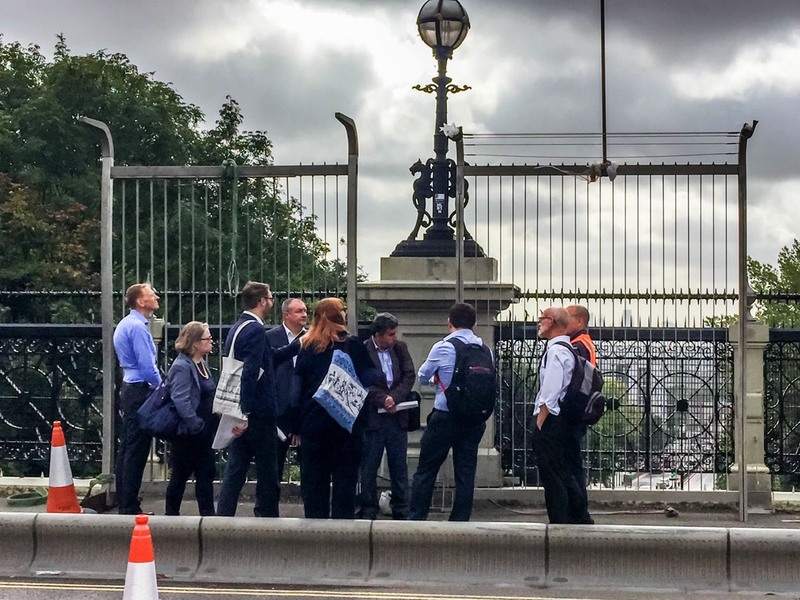 Cllr Andy Hull, Executive Member for Community Safety, added: “This saga has been running for years, and as a council we have done all that we can to help TfL produce the barriers. We have even taken to offering to find manufacturers ourselves. Thankfully, the CCTV we have installed near to the bridge has helped us prevent several suicides, but clearly it is not enough as the tragic death a few weeks ago shows. Councillor David Poyser raised the issue of the delay to the work on the bridge at a Full Council meeting on 30/6/16. Click here to see the answer he received from Councillor Hull. impossible, while there is minimal effect on the appearance of the Victorian Bridge, an Islington landmark. Both Islington and Haringey Planning Committees have agreed to Transport for London’s plans last year. Is there an idea of when we can expect to see the anti-suicide changes to the bridge, and any other suicide prevention measures? 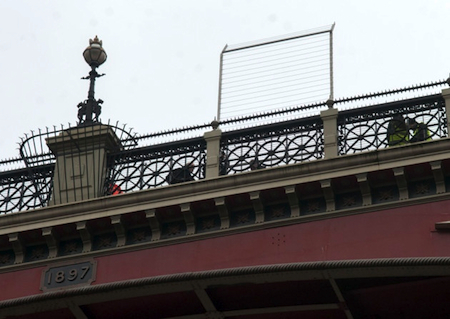 On the morning of 9th June, a woman in her 20s did threaten to jump off Archway Bridge. Police, Fire Brigade and Ambulance Services attended and road closures were put in place. In the end, the woman was led to safety and taken under the Mental Health Act to a North London hospital. Thank goodness this particular suicide attempt was averted and the young woman is still alive. 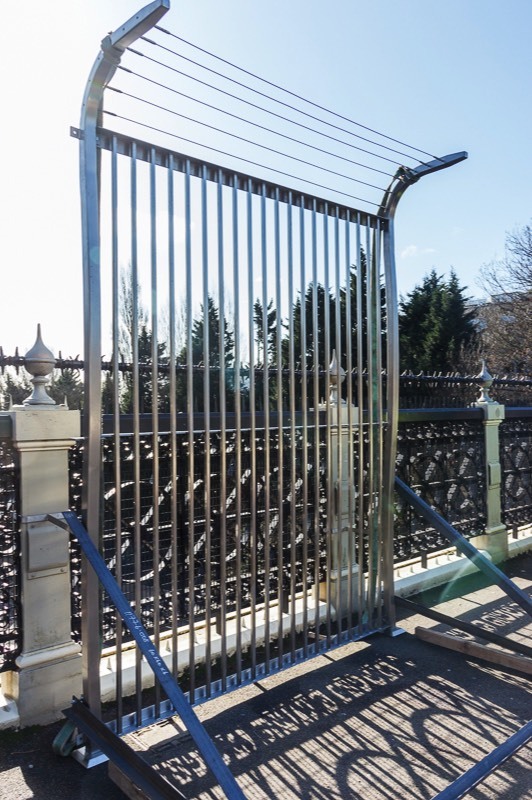 In terms of suicide-proofing the bridge, Islington Council’s Planning Committee approved TfL’s design, in principle, for suicide prevention fences on the Grade 2 listed bridge on 8th October 2015 with conditions requiring detailed design proposals and a sample section to be erected in situ on the bridge. Since that time, mock-ups have been undergoing vigorous testing and experimentation in the workshop, with one sample section being erected on the bridge, to ensure that this bespoke structure is effective in its aim. Technical difficulties were encountered by TfL and these need to be resolved to ensure that the measures are fit for purpose. 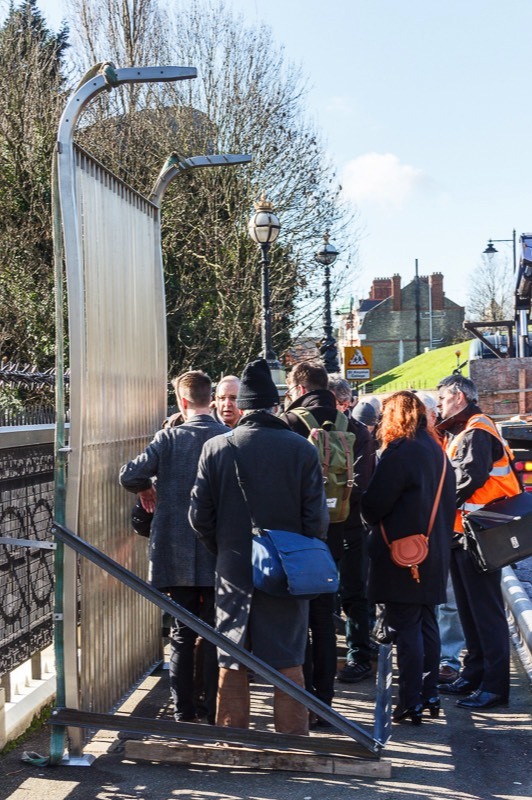 In order to hasten the process, Islington Council recommended that TfL engage additional structural engineers and this recommendation was taken up. 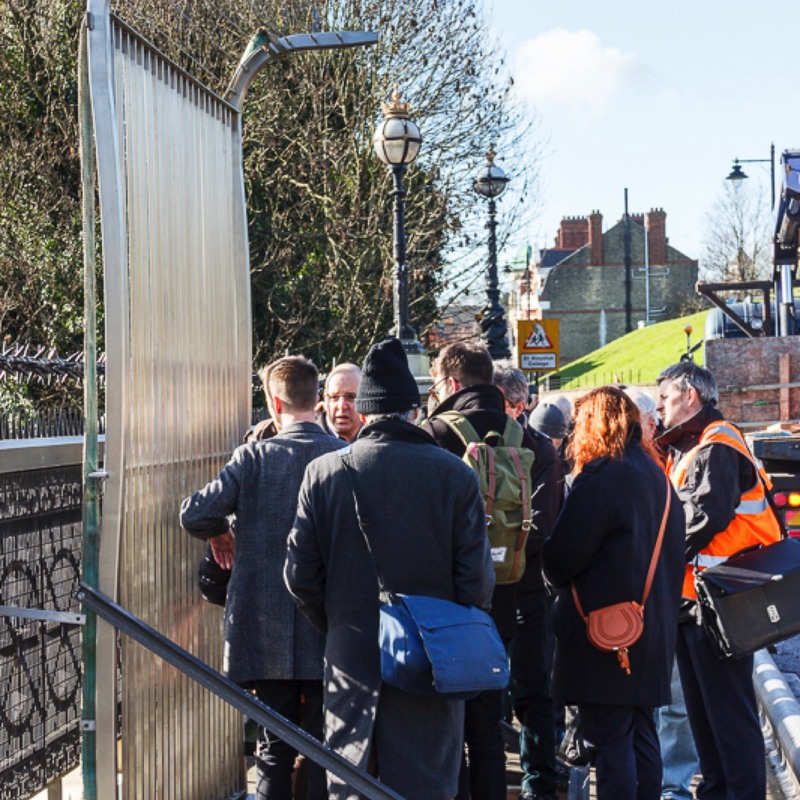 The Council’s Design and Conservation Team are in regular contact with TfL and are able to respond quickly to developments. TfL is currently waiting for its contractor to provide a date for when the final mock-up will be viewed by them at the workshops. TfL expect to be able to inspect it by mid-July. If no concerns arise from this mock-up, it is anticipated that a sample section will be placed in situ on the bridge by the end of August, with submission of an Approval of Details (AOD) application as soon as possible after that, with full installation and completion taking place by the end of the year. CCTV will also be installed along with the fencing. I am firmly of the view that this is all taking longer than it should, because with each month that passes we run the risk of another life lost. Given it is potentially, quite literally, a matter of life and death, I have recently asked the Chief Executive of the Council to contact TfL to see if there is any way to expedite the process. 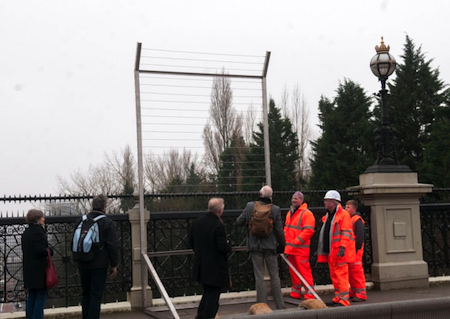 A redesigned anti-suicide panel was placed on the bridge for viewing on Friday19th February, attracting unanimous and vociferous condemnation from passersby. The panels require a further minor modification, and will be installed along the length of the bridge in the near future. Enjoy the bridge while you still can, its architectural finery will soon be obliterated. During the construction of the panel two changes have had to be made, firstly to the thickness of the rods and secondly by adding a cross member to increase the structural robustness, but essentially it looks little different from the plans submitted. There are 3 revised drawings all dated 28/07/15, which are available on Islington’s planning website under ‘related documents’. 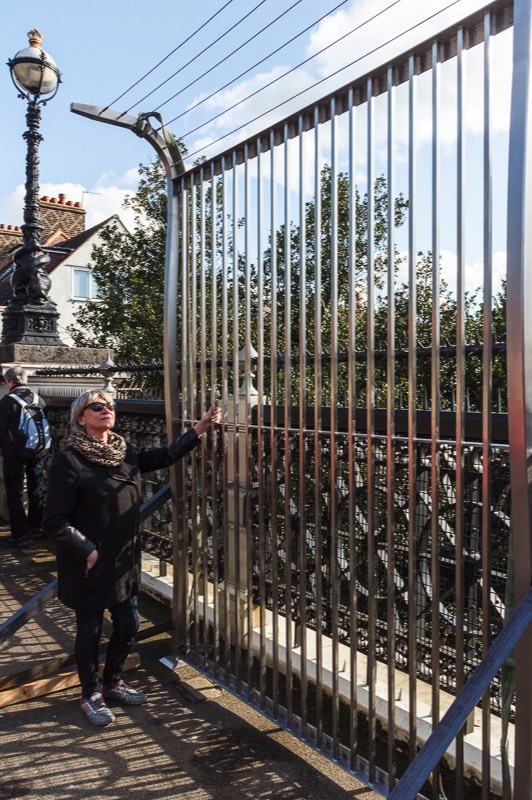 A revised design aimed at deterring suicides on the Grade II listed Archway Bridge is being presented to LBI on Thursday 8th October with a recommendation for approval. Whilst everyone wants a solution which will be effective, the previous design was shown to be far from foolproof, and there is no evidence that the latest design has been tested. To show support, or raise concerns, you should email planning@islington.gov.uk, quoting P2014/5019/LBC before the 8th. Download the Planning Committee Report, which explains all. Decision: That permission be granted subject to the conditions in the report. See minutes of meeting. Haringey Council gave the plans the go ahead on 29/10/15. The date for comments on the suicide prevention measures proposed by Haringey has passed, but Islington’s application (P2014/5019/LBC) is open for comment until 26th February. It includes a building report and heritage assessment for TfL, which you can download here. 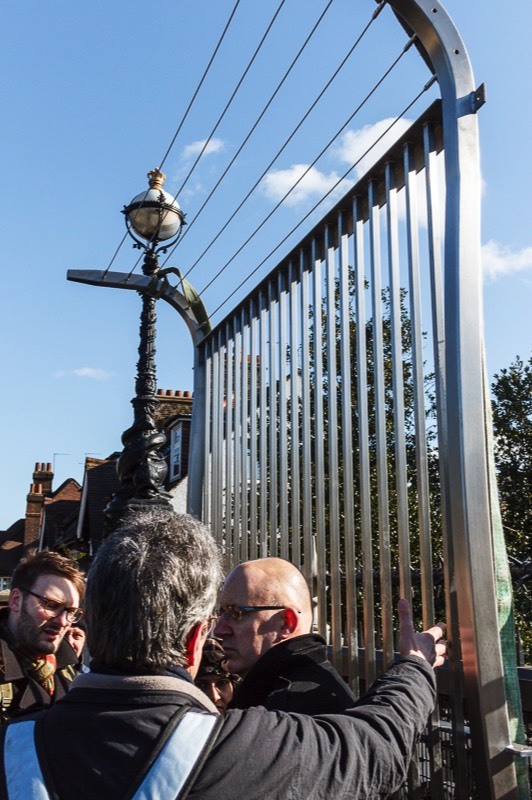 The proposal, involving large “prison fence” style structures projecting from both sides of the Grade II Listed edifice, has provoked much local debate (see Ham & High article). The issue, which has been debated for at least ten years now, has prompted the Highgate Society to propose an alternative design (see here). The Victorian Society has made a forceful objection to the proposals, which you can download here. If you would like to comment on Islington’s planning application, you will find it here. As we all know, Archway Bridge has a terrible reputation and over many years there have been proposals to reduce suicides here. Haringey, the planning authority responsible, has regularly put the matter to one side. However, they are now proposing to add a perimeter security fence, plus cages over the lamps. Unfortunately, this seems unlikely to work because the horizontal parts will function as a ladder to climb. And the appearance of a high security zone immediately over the Archway Road will entrench the sense of a troubled area. Importantly, there has been no local consultation except for a meeting more than year ago including the Highgate Society and TfL but no-one from Archway or the Whittington Hospital Mental Health Unit. Further consultation was requested, as well as evidence of effectiveness, but Haringey said that would not be possible because the matter was urgent. That was 15 months ago. Now Haringey appears to have simply dusted off that same proposal, reported to have been rejected 10 years ago, and is putting that forward as the easiest option. 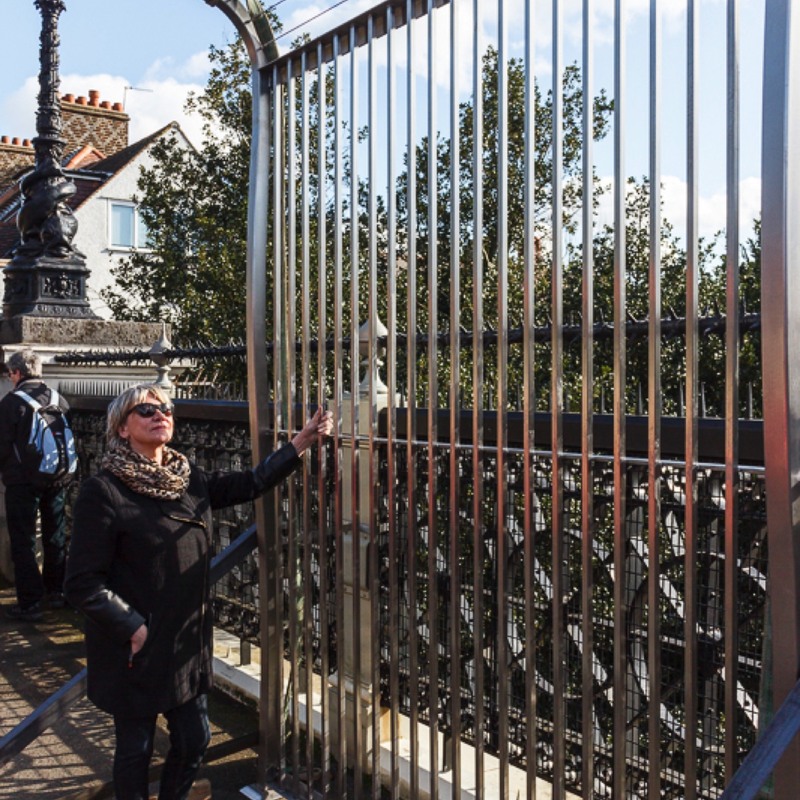 There are better alternatives such as a fence inside the existing railings, as on the Clifton Suspension Bridge, and vertical railings above the existing parapets, curved over the pavement at the top (less reminiscent of prisons), and only tied together at the top, so removing any ‘ladder’. The issue is complicated but the current proposal looks like one which will only make matters worse. Representatives from not just TfL, Haringey and Islington but emergency services, mental health trusts, the coroner's office, and more than one local residents group are needed to consider all the options and decide on the most effective solution.